A government pilot program is revealing Australia has a strong workforce of mature workers keen to remain productive. Skills Checkpoint Pilot offers workers aged between 45 and 54 years a professional careers “health check” to evaluate their skills and experience in order to create a personalised career map of their future prospects. Participants are also invited to attend online and offline workshops on training opportunities, the future jobs market, and recruitment trends for those looking at transitioning into new careers. The whole process takes about six weeks, after which participants receive their career map defining ways to address skills gaps, listing suitable occupations and employment opportunities to suit their skillsets and information on training pathways and government programs relevant to their circumstances. Pilot participant “Theresa,” who shoulders caring responsibilities for her disabled son, says her career map clarified the directions she could realistically pursue in the context of her circumstances. “The pilot helped me realise I have a lot of transferrable skills applicable to local industries where flexible work practices are more commonplace than where I am working right now,” Teresa says. So far, the Skills Checkpoint initiative is attracting a lot of interest from a workforce of mature Australians keen to remain productive, who are driven to generate an income to secure a comfortable retirement. The average Australian healthy lifestyle expectancy is one of the highest in the world, due to improvements in health care and other technologies, while the age pension age for both men and women will hit 67 by mid-2023. Meanwhile, the number of working people aged 15 to 64 in proportion to each of those aged 65 and over has dropped from 7.3 people in 1975 to around 4.5 people today. It’s clearly an economic imperative that we do all we can to encourage mature Australians to contribute their experience and skill to the workforce. This pilot recognises that many older people need advice on how best to do that, and I hope we can assist many people to realise their dreams. Like many economies across the world, Australia is facing urgent challenges with our ageing population. The 2015 Intergenerational Report External link. projects that the number of Australians aged 65 and over will more than double by 2055, when there will be around 40,000 people aged 100 and over (1). In 2055, men can expect to live on average to 95.1 and women to 96.6 years (2). For anyone running a business, this presents both a challenge and an opportunity. We hear a lot of alarming predictions about the effects of this ageing on our budgetary outcomes over the next 40 years. But we don’t have to accept this outlook. We can take positive and effective action, and harness the power of our older citizens. Over the last five years, the annual average rate of population growth for mature age people was 2.8 per cent, outpacing that for all people aged 15 years and over (1.6 per cent). In short, there is a growing pool of older people in the Australian economy. From a national perspective we need to make sure that as many as possible are employed, and for as long as they are able, to maintain our productive capacity and prosperity in the future. Tapping into this growing pool also makes good business sense. There are many older individuals who are willing and able to work, but cannot find work. It is clear that there are huge benefits to the broader economy from employing mature age workers. According to a 2012 report by Deloitte Access Economics External link. , an extra 3 percentage points of labour force participation among workers aged 55 and over would result in a $33 billion boost to Gross Domestic Product (GDP)—or around 1.6 per cent of national income (3). Similarly, a 2012 report by the Grattan Institute External link. estimated that increasing the mature age (60-69 years) labour force participation rate by 7 per cent would raise GDP in 2022 by $25 billion in 2010 dollars, or 1.4 per cent (4). But what about at the business level? How does boosting mature age participation benefit me? Employing and retaining mature age workers can help your business grow and thrive. Mature workers are reliable, flexible and ready to contribute from day one. As well as bringing a lifetime of experience to your business, mature workers are also great mentors to other staff. being able to market your business as a good employer by promoting diversity in the workforce (5). You could also gain a real advantage over your competitors by making better use of the skills and experience of mature age workers –it allows you to capitalise on customer bases that are also ageing. 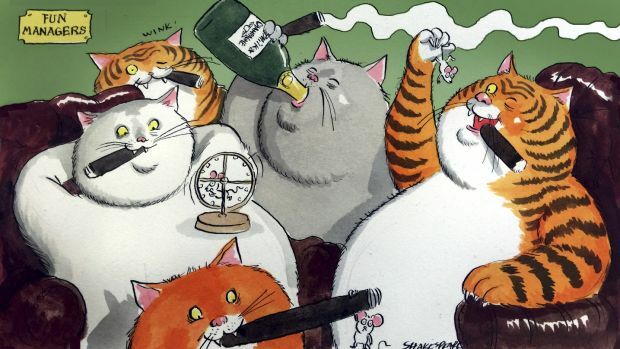 Australians in the age bracket 45-64 years own half of Australia’s household wealth (6). Employing mature age workers can allow you to capture older people’s perspectives in the development of strategies and products, to tap into this huge pool of consumer wealth (7). As Commissioner for Age and Disability Discrimination and Ambassador for Mature Age Employment, I advocate that Australian businesses and employers support workplace diversity, including age diversity, to meet their obligations under anti-discrimination law, but also to go further and use the mature age population to grow their businesses. This approach is not only good for your bottom line, but provides mature age Australians the dignity and social benefits that come from contributing to workplaces, communities and the broader economy. Plus, your business can benefit from taking on mature age workers through the government’s Restart wage subsidy scheme. This programme provides a wage subsidy up to $10,000 to an employer who hires and retains an unemployed person over 50 who has been on benefits. One employer who has already used Restart successfully is Colin Johns, Managing Director of Transformer Services, External link. who has gained a number of skilled productive mature workers for his Adelaide electrical engineering company. Other employers, especially small and medium sized, should follow Mr Johns’ lead and avail themselves of the experience, loyalty and stability of older workers. In November 2015 I took part in the Illawarra Mature Workforce Participation Roundtable (8) organised by the IRT Foundation at the University of Wollongong. The aim was to correct false perceptions about mature age workers and to improve choice and quality of life for over 50s. The Roundtable brought together representatives from business, government and the community sector to share positive experiences and stories of mature age employment—something we need much more of. Most of us know Bunnings—a highly successful company and one of Australia’s best employers when it comes to supporting the community and recognising the value of mature workers. It’s one of the few companies in Australia that understands and acts on the many strengths older workers can bring to the business. In Wollongong we heard of local success stories. John Kelly was able to transition from a job in the steel manufacturing industry to the aged care sector; Dion’s Bus Services, a small family business, operates successfully in the Illawarra region with a high proportion of older workers. I was also pleased to be shown how the IRT Foundation’s ‘Intergenerational Job Share Initiative’ works in practice. The flexible work practices under this initiative enabled one job to be shared between Natasha (a young mother) and Safrina (an older worker with very good qualifications but who had experienced difficulty finding a job in the past) to their mutual benefit. There remain many challenges to overcome in boosting mature age employment. These are currently the focus of the Willing to Work: National Inquiry into Employment Discrimination Against Older Australians and Australians with Disability External link. which I am conducting (9). The Australian Human Rights Commission’s 2015 National Prevalence Survey of Age Discrimination in the Workplace found that one of the biggest barriers to Australians enjoying longer and more productive working lives is age discrimination. This discrimination is widespread and affects all kinds of Australians, everywhere. Age discrimination is most commonly experienced when older people are out of a job and looking for paid employment rather than while they are in a job or running a business. These potential employees are ignored because of deeply rooted negative stereotypes. The stereotypes are wrong but we can only get rid of them if all parts of the community work collaboratively. And this is starting to happen. I urge employers to consider their recruitment processes and ensure they have a pool of appropriately skilled workers available. Don’t deny your business the value experienced workers are willing and able to contribute. If you’re an employer looking to hire, regardless of what industry you operate in, let your local jobactive provider find the right mature age worker for you. Susan Ryan was appointed as Australia’s first Age Discrimination Commissioner in 2011 for a five year term. Up until her appointment as Commissioner, she had been Women’s Ambassador for ActionAid Australia and chaired the Australian Human Rights Group since 2008. She had also chaired the Australian Human Rights Act Campaign Inc. since 2005. Is grandparenting becoming a trap for older women? Anne Shaw* and her husband love going on cruises, finding ocean travel to be the perfect holiday. But there’s another benefit for the grandmother of four: “It’s a way of escaping without having to say no to requests to look after grandchildren,” she admits. Shaw isn’t alone: as much as they adore their grandkids, many of today’s nannas and grandmas feel that looking after grandchildren encroaches on their lives or is physically exhausting. Yet most of these women aren’t telling their grown-up offspring how they really feel. Looking after the grandchildren can be a fraught issue; a complex web spun from conflicting emotions including love, guilt, joy, fear and obligation. And the reality of doing it regularly – that it’s hardly all bliss and contentment – is such a taboo subject that all the grandmothers interviewed for this article asked not to have their identities revealed. Baby boomer grandmothers know their Gen X sons and daughters are under significant financial strain. Dual-income families, demanding jobs, expensive childcare and the high cost of living mean mums and dads are turning to their own parents to help out with their kids while they work. Grandparents provide childcare for almost one-third of children of working parents, according to 2015 data from the Australian Bureau of Statistics. “In Australia, grandparents are the largest source of informal childcare after parents … Many households could not function without the unpaid input of grandparents,” write Barbara Pocock, Natalie Skinner and Philippa Williams in their 2012 book, Time Bomb: Work, Rest and Play in Australia Today. This is no secret. What’s less well known is how these grandparents feel about and respond to requests for care – especially grandmothers, who usually take the lead in the grandparenting arena (research shows that even when grandfathers and grandmothers provide care together, grandmothers are more likely to take on routine or repetitive tasks such as bathing and feeding). Janet Gibson*, a grandmother of 10, is frank: “When my first grandchildren were born, it was a pleasure to look after them. It never felt stressful.” But that was more than 20 years ago. Now in her 70s and suffering from arthritis, caring for the grandchildren is very different. “I love the children but I’m physically unable to do what I used to do,” Gibson says, referring to the fact that it’s painful for her to pick up her baby granddaughter. Despite the difficulty, Gibson and her husband regularly look after the baby so their daughter can work. They’ve never told their daughter the extent of Gibson’s health issues. “Because I feel it would be unfair,” Gibson sighs, referring to the fact that she was very involved in caring for her older grandchildren and wants to treat her children equally. This desire to help each of their children equally was mentioned by other grandmothers. Although understandable, it complicates the grandparenting experience, especially in large families, because more grandkids means more time and energy from grandparents who are only getting older. Anne Shaw agrees – over the years her feelings towards grandparenting have changed. “I was so looking forward to becoming a grandparent,” she says. Before her first grandchild was born, Shaw reduced her paid employment from full-time to four days a week. “I couldn’t give my kids money, so looking after my granddaughter was my way of helping out,” she says. But 11 years and four grandchildren later, Shaw notices that she gets tired more easily and doesn’t have the patience that she used to. Still, she never says no to requests to look after her grandchildren because she “absolutely loves” seeing them. “I don’t admit it when I’m tired,” she says. “I just get on with it and do what needs to be done.” Now retired, this grandmother says she can simply catch up on sleep if she needs to after the kids leave. But not all grandparents have this luxury: many juggle care of grandchildren with paid work, leaving them with little downtime. The number of older women in the Australian workforce has significantly increased over the past few decades. Jill Westbrook*, in her mid-60s, is a working grandmother of two. For her, the issue of caring for grandchildren is more about how it restricts her income than the physical exhaustion. “I tend to say no to extra paid work because the grandchildren come first, but I’d like to say yes,” she says. The combination of paid work and care also means Westbrook doesn’t get many free evenings. She wishes she had more time so she could play bridge, go to the theatre or the movies. So why doesn’t she just say no when she is asked to look after her grandkids? Helen Andersen* is in her early 60s and regularly cares for three of her grandchildren. Of all the women I spoke to, Andersen is the only one who has initiated honest conversations with her children about her grandparenting role. Since having that conversation, Andersen’s daughter treats her mother more gently and is more considerate. And Andersen is certain that’s a good thing. “When you’re honest, it’s such a relief,” she says. She believes it’s vital for grandmothers to let their kids know they’re not superwomen, instead of always insisting they’re fine and happy to look after grandchildren. Another complicating factor, particularly for paternal grandmothers, is the fear of decreased access to grandchildren if they decline care, especially if it’s a daughter-in-law making the request. Sometimes, it’s easier to play it safe and just lie – as does one grandmother who pretends she is feeling unwell, or says she’s going out. Of course, it’s not all bad: caring for grandchildren can provide enormous joy and satisfaction. When I asked each grandmother what their ideal care scenario would be, not one elected to opt out of caring for their grandchildren. Rather, grandmother utopia involves fewer care hours; or to spend more time having fun with grandchildren, for example taking them to the park or the beach; or to have extra paid help to do the more physically demanding jobs, such as cleaning and other domestic duties. A 2015 study, Grandparent Childcare and Labour Market Participation in Australia, commissioned by National Seniors Australia, found there is a tipping point after which providing care becomes less enjoyable: grandparents who provide 13 or more hours of care a week are less likely to enjoy caring for their grandchildren, and more likely to feel the effects on their work and retirement decisions. A survey commissioned by the Australian Seniors Insurance Agency found that 58 per cent of grandparents have had to sacrifice their own lifestyle and recreation, and 30 per cent have had to alter their work arrangements in order to care for grandchildren, while 23 per cent said they’d like to look after their grandchildren less often than they do. Becoming a grandparent is supposed to be the gold medal for surviving the hardships of parenting; the ultimate love affair. But the truth is more nuanced. “My friends secretly comment about the mind-numbing boredom of grandchildcare,” says Andersen. “You are dealing with children with brains the sizes of peas. Lots of us held high-powered jobs, were successful businesswomen, so however much you love those sweet babies … how many games of Eye Spy can you play without wanting to rush back to your fabulous novel and a quiet cup of coffee? In 2013, the average age of becoming a grandparent was 58-60; in 1953, it was 54-56. In 2014, 837,000 Australian children were cared for by their grandparents in a typical week. In 2014, more than 97 per cent of grandchildcare was unpaid. For Christine Snelling, love is enough. For almost 40 per cent of grandparents, though, it’s not. They believe they deserve to be paid for looking after their grandchildren. Ms Snelling – a 69-year-old retiree – spends her days chasing after an energetic six-year-old grandson. She packs lunches, does the morning school run, makes afternoon tea and then dinner. Her daughter is a single mother, for whom paid childcare is out of reach. Ms Snelling doesn’t mind stepping in and last December moved into a granny flat on her daughter’s Gisborne property, north of Melbourne, to make things a little easier. “It’s what I’m here for,” she says. For a long time, that’s how most baby-boomer grandparents have felt. But it seems love only goes so far for the generation whose retirement dreams have been hindered by their family ties. Two in five Australian grandparents believe they should be paid for taking care of their grandchildren, new research shows. One in four would like to provide less care than they do. On average, grandparents are caring for each of their grandchildren for 16 hours each week. Most say their lives revolve around their childcare commitments: 75 per cent of grandparents live closer to their children to help take care of the grandchildren; 58 per cent forfeit recreation; 42 per cent sacrifice travel; and 30 per cent change their work arrangements. A survey commissioned by the Australian Seniors Insurance Agency shows more than 37 per cent of grandparents believe they should be paid for taking care of their grandchildren. But it’s likely that number is even higher, ASIA spokesman Simon Hovell said. Still, the vast majority of Australian grandparents – 84 per cent – say they care for their grandchildren “out of love”. The survey shows many Australians believe grandparents providing childcare free of charge is a “normal part” of how a family should operate. The older generation in particular feels that if their parents were able to “make do” in their day without pay, so should they. It’s just as well, because around 937,000 children in Australia are currently receiving care from their grandparents. It’s saving the country $127.4 million each week in childcare costs. That figure, however, is calculated at a rate of $8.50 an hour – a fraction of what the vast majority of parents are paying for childcare. Some countries pay grandparents to look after children in the same way nannies are paid, or allow the transfer of paid parental leave entitlements to grandparents so new parents can return to work earlier. In the UK the issue was addressed years ago, with the creation of special welfare payments for grandparents who care for a child under the age of 12. Last year, the Australian government’s National Commission of Audit recommended grandparents be eligible for a childcare payment. The proposal was also raised by independent senators Glenn Lazarus and Jacqui Lambie as part of a crossbench wish-list in exchange for supporting the federal government’s $3.2 billion families package. 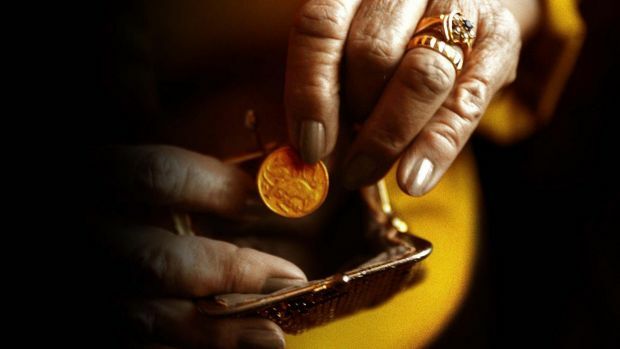 More than one-third of Australian pensioners are living below the poverty line, making the country among the worst performers in the world for the financial security of older people. The findings of the OECD report, Pensions at a Glance 2015, compared Australia to 33 other countries. Australia was ranked second lowest on social equity, with 36 per cent of pensioners living below the poverty line, which the report defined as half the relevant country’s median household income. Australian pensioners fared better than their counterparts in South Korea, where 50 per cent live below the poverty line but performed poorly against the OECD average of 12.6 per cent. The report, released last month, found the Australian government contributes less to old-age benefits than other OECD countries. The Australian government spends 3.5 per cent of GDP on the pension, below the OECD average of 7.9 per cent. The findings are backed up by the Global Age Watch Index 2015 report card which rates countries by how well their older populations are faring. It ranked Australia lowest in its region on income security, due to the high rate of old age poverty and pension coverage which is below the regional average. Paul Versteege​, senior research and advocacy adviser with the Combined Pensioner and Superannuants Association, said the base Australian pension rate was low compared to median household incomes. “There are huge discrepancies among retirees in various countries,” he said. The annual payment for a single person is about $22,000 and $34,000 for a couple, with 2.25 million Australians claiming the pension. Council on the Ageing chief executive Ian Yates said the report challenged perceptions that the entitlement was too high. “Claims that the age pension is somehow too extravagant and unsustainable do not bear out,” he said. Chief executive of Vision Super Stephen Rowe said he was “staggered” by the findings of the OECD report, saying it painted a bleak picture for many older Australians. He said that Australians retiring now have not received the full benefit of compulsory superannuation contributions, introduced in 1992, but were grappling with rising living costs. “The basic cost of living in Australia is quite high, compared with some other OECD countries,” Mr Rowe said. Chief executive of National Seniors Michael O’Neill said the pension had gone backwards in real terms and many older people had not accumulated enough superannuation to supplement the benefit. “In terms of sustainability, the report confirms that Australia spends substantially less than the OECD average on pensions,” he said. The closer we get to taxing superannuation properly the more we are going to hear about how important it is and how much we are going need to live on in retirement. Don’t believe it. It’s almost all propaganda, almost all paid for with money taken out of our superannuation accounts. The latest scary figure, produced by the Association of Superannuation Funds, is $58,784 per year. That’s how much it says a 65-year-old couple needs to live on in order to enjoy a “comfortable” retirement. At the risk of stating the obvious, after tax and rent or mortgage payments most working Australians couldn’t afford such comfort. It’s absurdly high. The fine print shows such a couple would spend $40 a week on alcohol, $80 a week on dining out, almost $200 a week on food and groceries, $136 a month on the phone and internet, $4000 a year on holidays within Australia, and $14,000 every five years on a holiday abroad. Plus this: the best part of $250 a month on new clothes and shoes, $80 a month on hairdressing, $54 a month on pest control and/or an alarm service, and $350 a month on private health insurance. At the risk of stating the obvious, after tax and rent or mortgage payments most working Australians couldn’t afford such comfort. How did such a figure come to be defined as the gold standard used to justify steady increases in compulsory super contributions and to attack plans to tax them properly? Part of the answer is that the super industry really doesn’t care about the living standards of Australians who are working or about the extra tax they have to pay because super funds aren’t. Its chief concern is the $2 trillion in funds it has amassed to date, and the tens of billions of dollars of it that stick to its fingers each year in management fees. Its so-called “comfortable” retirement standard was originally called “comfortably affluent but sustainable”. That’s right, the word “affluent” got edited out along the way. The University of NSW team that built it never intended it to apply to the bulk of retirees. For them they created a second standard, “one which affords full opportunity to participate in contemporary Australian society and the basic options it offers”. They labelled it “modest but adequate“. The word “adequate” has also disappeared along the way, leaving the false impression that what’s affluent is normal and that anything else isn’t adequate. It’s needlessly scaring us. A new survey by State Street Global Advisors finds that before retirement most Australians believe they won’t have enough to live on, but that after retirement most are happy: two-thirds say their standard of living is no worse and a significant minority say it is better. The truth is that living costs plummet on retirement. Most retirees no longer face a mortgage, a saving of 30 per cent. Most no longer pay tax, no longer have children living at home, and no longer habitually save up to 10 per cent of each pay packet. They also no longer incur the substantial costs of heading out of home and going to work: petrol, parking, work clothes and the temptations of the office cafeteria. And they have more time to shop and cook, meaning they get better value and pay less for food. So comfortable are retirees spending far less than the industry says they need to, that most actually save. In his earlier incarnation as social services minister Scott Morrison revealed that in their first five years in retirement 57 per cent of pensioners either build up their savings or keep them steady. In their last five years 67 per cent do so. A Productivity Commission survey released last week finds that only 5 per cent of retirees stop saving when their income drops on retirement. But outrageously inflating the cost of living for retirees is only the first of the industry’s tricks. The second is to imply that all of it has to come from super. The astonishing truth, outlined by Morrison in a speech as Treasurer last month, is that super accounts for only 15 per cent of the assets of Australians over the age of 65, and only 20 per cent of their income. As the Grattan Institute put it in a recent report: superannuation is the least important part of the retirement incomes system. Retirees have much more invested in real estate than super, and “at all ages, incomes and wealth” more invested in other financial instruments than in superannuation. “It is unreasonable to expect superannuation savings alone to fund a comfortable living standard in retirement,” the institute says. It follows that it is unreasonable to believe that the super system needs to grow or stay as it is in order to provide decent retirements. Labor is blind to evidence when it comes to superannuation. In thrall to the legend of Paul Keating and the myths propagated by the industry he helped create, it wants to lift compulsory contributions from 9.5 per cent of salaries to 12 per cent. Morrison is more clear-eyed. Some retirees are genuinely poor. They are the ones paying rent. The Productivity Commission says they typically have to dole out $240 a week and are vulnerable to eviction. Shamefully, when Kevin Rudd lifted the age pension in 2009 he all but ignored the finding from his pension review that rent assistance was far too low. It remains unindexed at $120 a fortnight. There may well be other Australians for whom retirement is uncomfortable, notwithstanding the pension of $20,498 for singles and $30,903 for couples. But for most it’s OK, no worse than working. There’s no need to hand a $2 trillion industry tax concessions in order to help them. A federal government program designed to get older Australians back into work has been branded a dismal failure, with only 1700 people joining the scheme meant to benefit 32,000. Department of Employment documents reveal just 1735 people took advantage of the Restart scheme in its first year of operation – about 5 per cent of the government’s target. Announced with much fanfare in the 2014 budget, the program provides a wage subsidy of up to $10,000 to employers who give jobs to people aged over 50 who have been unemployed for more than six months. But Employment Minister Michaelia Cash said the government remains “firmly committed” to the program, which is part of a $1 billion investment to establish a single wage subsidy pool. She said the program has now helped a total of 2500 mature-age workers, including those helped since July 1. “Restart is a demand-driven programme and the government budgeted for a maximum uptake of 32,000,” she said. Nonetheless, Ms Cash has announced changes designed to improve uptake. The subsidy will now be paid over 12 months rather than 24 and other measures have been taken to reduce complexity and red tape. Older workers face significant barriers to entering the workforce. On average, they spend 61 weeks on the unemployment queue, compared to 37 weeks for all other people. “That is why Restart was developed, to give an added incentive to employers to hire a mature-age worker,” Ms Cash said. Both major parties have long struggled to encourage employers to hire mature-age Australians. Indeed, just 230 employers took advantage of a $1000 annual subsidy under the two-year life of the Rudd/Gillard government’s Experience+Jobs Bonus scheme, which was also designed to get over 50s into work. It was meant to benefit up to 10,000 employers. Businesses benefit from hiring mature-age staff. BABY Boomers have been the backbone of Australia’s workforce for many years. The boomer generation, which numbers more than 5.5 million, has helped build the country’s economy and shape its society. And, over the next decade or two, they’ll change that working landscape yet again as they retire from paid employment. This exodus will have an impact across Australia, including in the Geelong region. Mature-age workers bring valuable expertise, knowledge and life experience to Geelong’s varied businesses and organisations. They add diversity, productivity and stability and play a crucial role in mentoring our next wave of workers and leaders. And many of them are not ready to go. They’re reluctant to down tools, pack away the briefcase and leave their jobs — for financial reasons, personal choice and a strong sense of purpose. Australian Bureau of Statistics labour force data reveals a significant increase in employment numbers over the past five years for older workers in the Geelong region, which includes the City of Greater Geelong, Surf Coast Shire, Borough of Queenscliffe and most of Golden Plains Shire. In mid-2010 there were about 17,300 people aged 55 years and over in part and full-time employment. Flip the calendar to mid-2015, and that figure has jumped by 6900 to about 24,200. That’s good news for Geelong’s employers. Businesses can and do benefit greatly from productive mature-age workers but they’ll need to take a flexible approach to keep that valuable intellectual capital within their ranks as retirement beckons. Options of part-time work and flexible hours make paid employment more attractive to mature-age people looking to balance a job with lifestyle changes as they transition towards retirement. And it might be enough to keep this valuable human resource within Geelong’s workforce for longer. But it’s not just skills and knowledge that slip away as mature-age workers retire. Workplace participation rates across Australia will be impacted too, with governments’ strongly encouraging older people to remain in employment longer to stave off a forecast shrinking pool of workers in coming decades and help counteract the economic ramifications of an ageing population. While the catchcry of “youth are our future” is true, we ignore the mature-age worker at our peril. They’re important now and will remain so in the future. — Rob Birch is chief executive officer of Gforce Employment Solutions, which supplies employment services to Geelong, Ballarat and Wyndham regions. The government wants Australians to keep working until they are 70, to reduce pressure on the aged pension, but new research shows that nearly a quarter of people now in their 40s will be too sick to stay in the workforce. Treasurer Joe Hockey last year proposed lifting the age at which people are entitled to full access to their superannuation, known as the preservation age, from 65 to 70 for anyone born after January 1966. In 2035, when the change would take effect, the majority of retired or unemployed Australians in their sixties will not have enough superannuation to fund their retirement. Potential impacts of changes to the preservation age are a focus of a self-initiated research project currently being undertaken by the Productivity Commission. A report released on Wednesday, produced by finanical services giant AMP Ltd and the University of Canberra’s National Centre for Social and Economic Modelling (NATSEM), predicts that by 2035 one in four men and one in five women in their sixties will no longer consider themselves in good health. “Rather than simply working longer, we need to re-think our approach to retirement. Reaching a certain age shouldn’t mean we need to leave the workforce entirely. Early years in retirement should be a transition period with reduced levels of work, giving people more time to focus on their interests and wellbeing, while still saving money,” AMP chief customer officer Paul Sainsbury said. The AMP/NATSEM report concludes that if the pension age is raised to 70 many Australians will need to consider working longer to have an income and build more retirement savings, but this will be a problem for those who are no longer in good enough health to do so. Working longer will be a challenge for one in five men and one in four women who are predicted to be in fair or poor health when aged 60-69 in 2035, the report finds. “The good news is that Australians are living longer. But we know more years in retirement places more strain on our superannuation balances so it’s likely many of us will need to work longer. But this raises some confronting questions, in particular, how healthy we will be in the later years of our working life and what our financial position will be,” Mr Sainsbury said. The report also finds that those people currently aged in their 40s who don’t consider themselves in good health now, are less likely to be well enough to still be working in 20 years time. The need to save more now is more urgent for this cohort. More than 50 per cent of workers aged 60-69 are professionals. Manufacturing, electricity and construction sectors employ one in four men aged 60-69. The education and health sectors dominate the employment of women. Australia’s self-assessed health status is ranked fourth in the OECD and similar to that for Switzerland, Sweden and the United States. Canada and New-Zealand are healthier than Australia. “There is an important role employers can play to help re-design the workplace of the future so that older workers can stay at work for longer and transition to retirement in a way that suits them, while building wealth and income along the way,” Mr Sainsbury said. Study shows over 50s are far more reliable than their younger counterparts, who see sick leave as “additional holiday” they deserve. A new study has found that although Australia’s talent shortage is continuing to be a prevalent issue, the number of employers implementing a strategy to deal with it is down by 5% from last year. ManpowerGroup Australia’s tenth annual Talent Shortage Survey, which interviewed over 1,500 employers around the country, found that 42% of Aussie employers are struggling to fill roles. Researchers found that employers are stepping away from addressing the talent shortage at a rate of one and a half times their global counterparts. Lincoln Crawley, managing director at ManpowerGroup Australia and New Zealand called this pattern “alarming and disappointing”. Crawley advised employers to tie a talent shortage strategy in with offering unorthodox ways of working. Employers around Australia reported that the most difficult roles to fill were management and executive positions, skilled trades and sales representatives. Skilled trades have remained the most challenging positions to fill for nine years. He added that one of the biggest challenges posed to employers was finding “ready-made specialists, rather than investing in developing existing skills”. Crawley also called for employers to ensure that IT workers are being invested in so that they can reskill to remain relevant, adding that many IT roles are becoming obsolete. According to the study’s findings, employers are aware of the constraints that skills shortages are putting on their company despite their apparent reluctance to take action. Forty-six per cent said that skills shortages were reducing their ability to serve their clients, 33% said they were a hindrance to their organisation’s productivity and competitiveness, and 23% said it lowered employee engagement and morale.